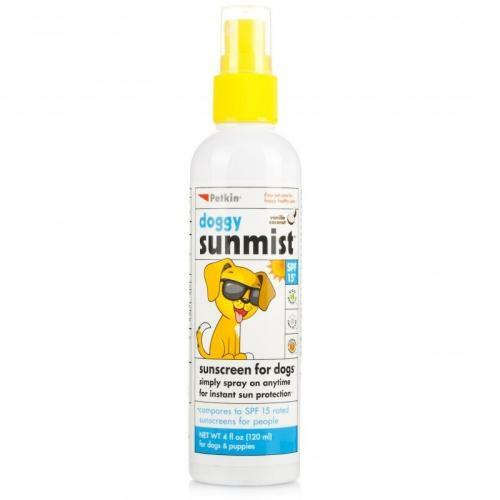 Petkin Doggy Sunmist is an ideal way to keep your dog cool and protected on hot and hazy Summer walks. The SPF 15 formula is sprayed in a gentle mist, making it easy to administer and helping to penetrate through the fur right down to the skin, especially ideal for dogs with thicker coats. The skin friendly formula is non-greasy, with a vanilla and coconut aroma to perfectly evoke those long Summer days.